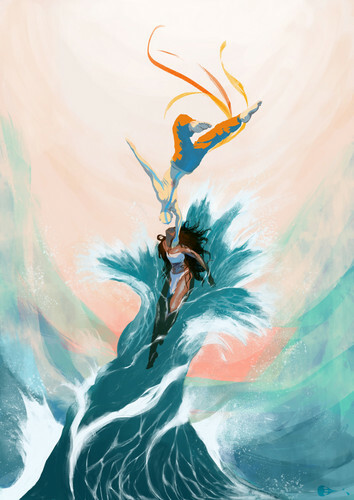 Where Water and Air Meet (Kataang). . HD Wallpaper and background images in the 아바타 더 라스트 에어벤더 club tagged: avatar the last airbender aang katara. This 아바타 더 라스트 에어벤더 fan art might contain 기호, 포스터, 텍스트, 칠판, 사인, 서명, 부케, 코사지, 꽃다발, posy, nosegay, and 코 사지.